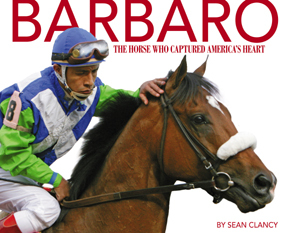 Barbaro - His Story: "The Horse who Captured America's Heart" a New Horse Book by Sean Clancy. The Horse who captured Americas heart. With his unbeaten record and magnificent good looks, Barbaro enthralled the public with his dominating performance in the 2006 Kentucky Derby. Running the length of the Churchill Downs stretch in isolated splendor, the bay colt seemed destined for greatness. His story was that much more captivating for the real-life heroics of his trainer, former Olympic show jumper Michael Matz. 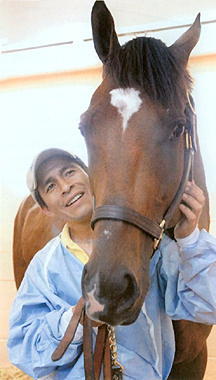 The Pennsylvania-born horseman had survived a horrific plane crash in 1989 and saved the lives of three young children who were reunited with Matz to witness Barbaro’s Derby. Already anointed the first Triple Crown winner in 33 years, Barbaro went into the Preakness Stakes seemingly invincible. Then a terrible misstep just after the start dashed those Triple Crown dreams. Instead, Barbaro fought for his life, his left hind leg shattered. Talented veterinarians at the University of Pennsylvania’s New Bolton Center worked desperately, using cutting-edge techniques, to save Barbaro as people all over the country rallied to support the colt. 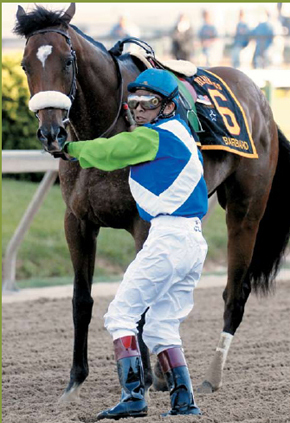 Despite a grave prognosis and several setbacks, Barbaro continues to defy the odds. 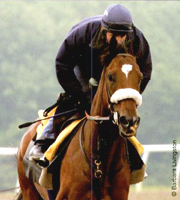 Sadly this exceptional race horse was put to sleep in late January 2007. The owners and veterinarians decided to not let the horse suffer unduly. An incredibly hard decision for any horse lover. This book will keep Barbaro's memory alive. 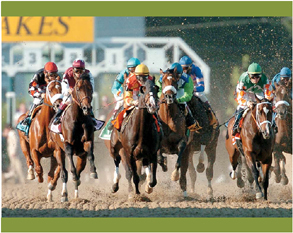 Author Sean Clancy is a sports journalist and former steeplechase jockey who resides in Elkton, MD. Order this book with our secure shopping cart.